Detects breaches and advanced threats that eluded prevention mechanisms at endpoint or network level. Provides complete visibility and insights into threat-related network activity and endpoint traffic anomalies. Combines cloud threat intelligence, ML and behavior analytics to detect the most sophisticated threats. Identifies abnormal user behavior or insider threats that may lead to corporate policy violations. Enables threat hunting and forensics through access to long-term stored data. Provides fast and easy access to information required by authorities in a 72-hour timeframe after a breach is discovered (GDPR). Complementary, easy-to-deploy/easy-to-maintain solution, that delivers immediate results for fast ROI. Integrations with other monitoring systems allow security automation and quick time to response. 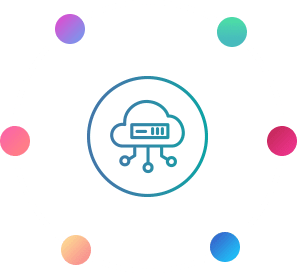 Covers all endpoints in the network, independent of type or pre-existing security solutions (corporate- or user-managed devices, network elements, BYOD, IoT). Detects breaches by passively checking outbound network traffic in real time for all malicious communication. Applies new threat intelligence elements on recorded meta-data to detect breaches retroactively. 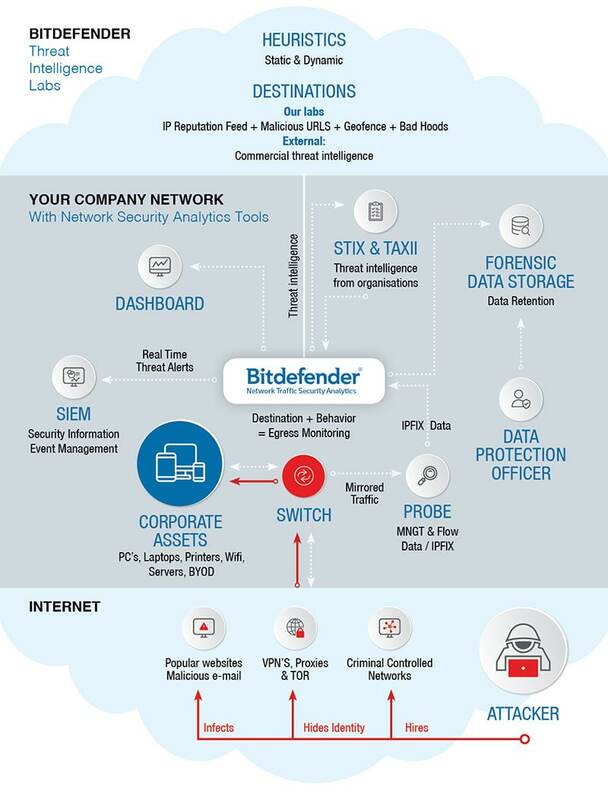 Combines Bitdefender’s cloud threat intelligence with real-time network traffic analytics based on AI/ML and heuristics to achieve superior threat detection rates with low false positives. 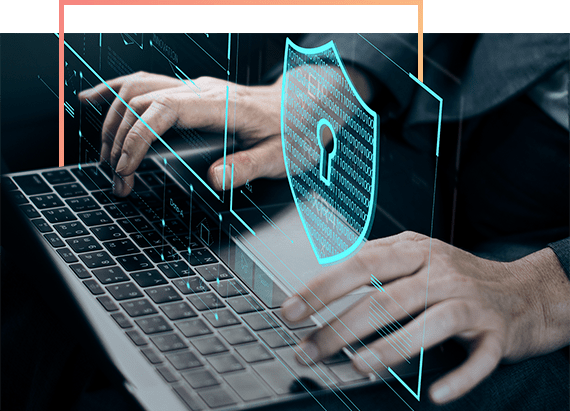 Covers all endpoints in the network, independent of type or pre-existing security solutions (corporate- or user-managed devices, network elements, BYOD, IoT). Provides complete visibility and insights into threat-related network activity and endpoint traffic anomalies. Automates security analytics and reduces noise to improve analysts’ threat hunting efficiency and generates actionable alerts to facilitate incident response. Exclusive focus on traffic meta-data enables analysis of encrypted communications and eliminates privacy issues concerning non-encrypted traffic. Relies on a simple and flexible architecture with plug-and-play components to deliver results immediately.